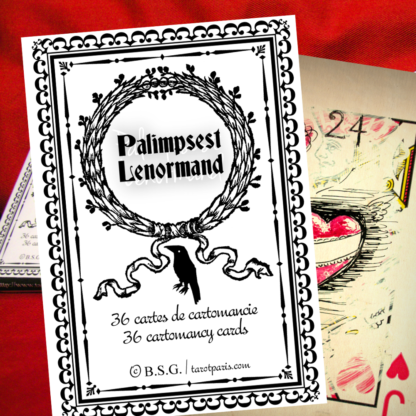 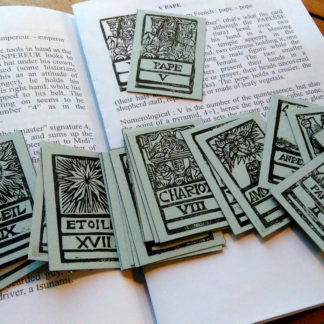 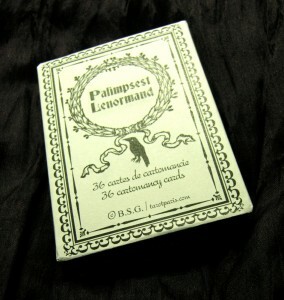 Home / Original decks / Palimpsest Lenormand 3rd ed. You can also read Hakim Bey’s text about the palimpsest. 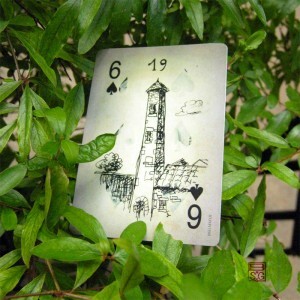 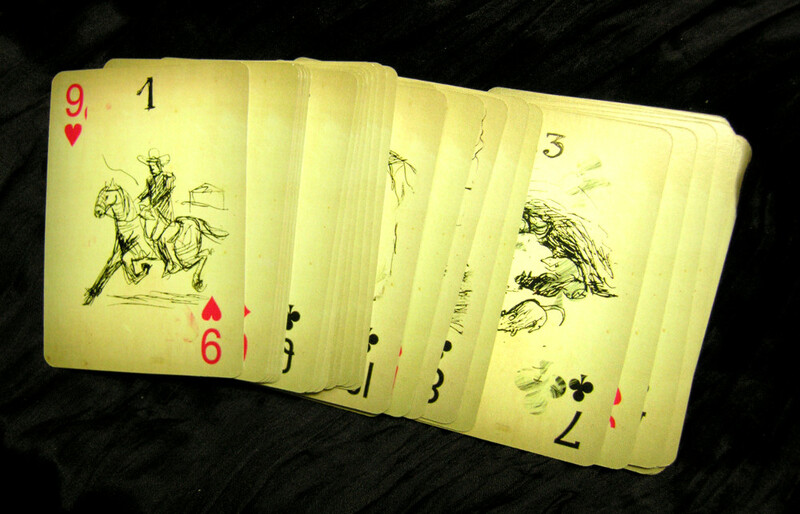 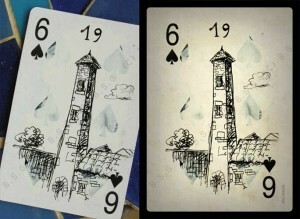 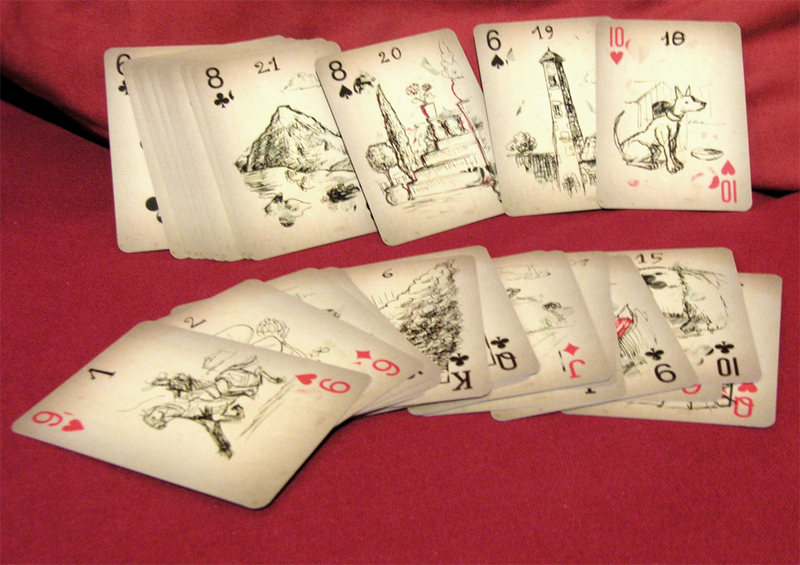 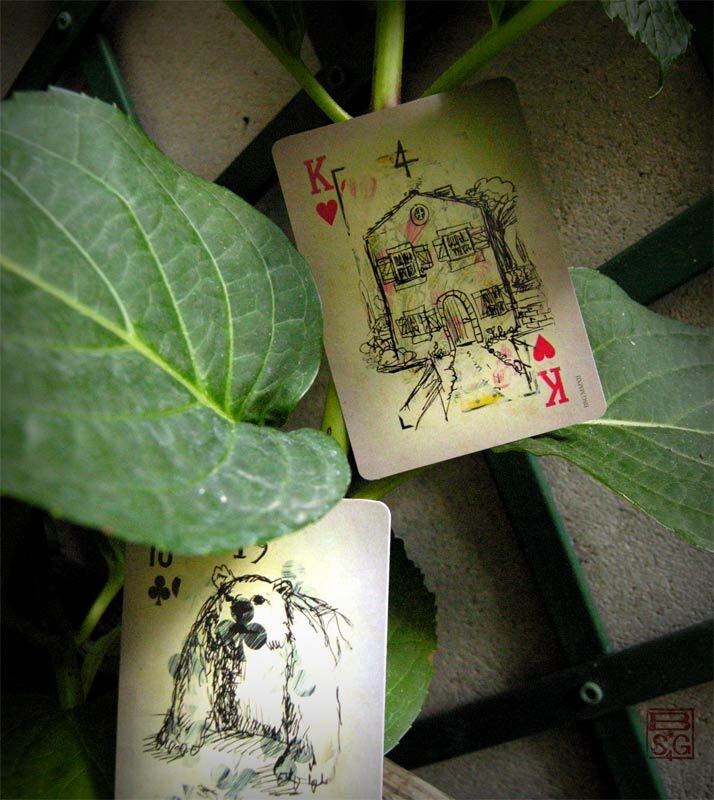 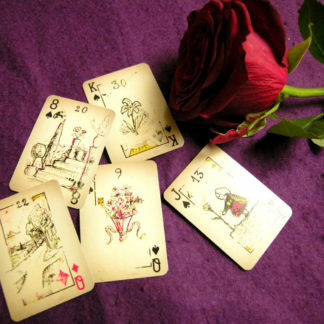 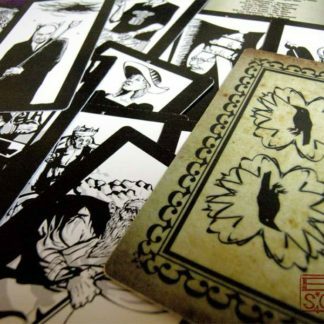 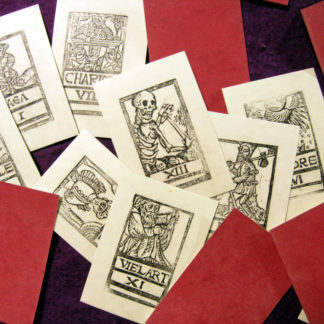 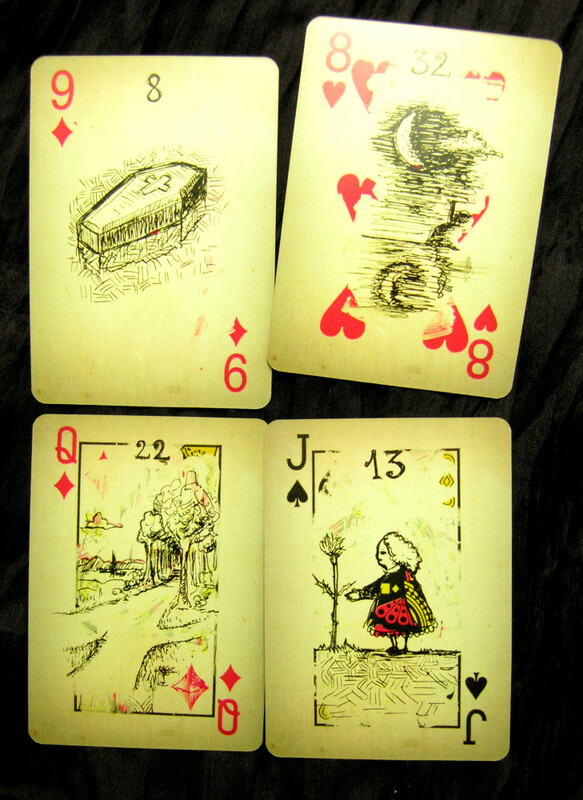 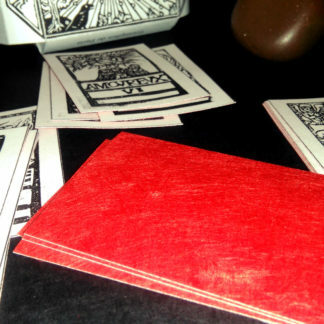 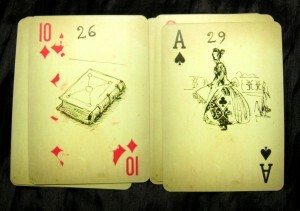 The drawing were directly made by hand on actual playing cards – whose original picture has been partially or entirely covered in white. 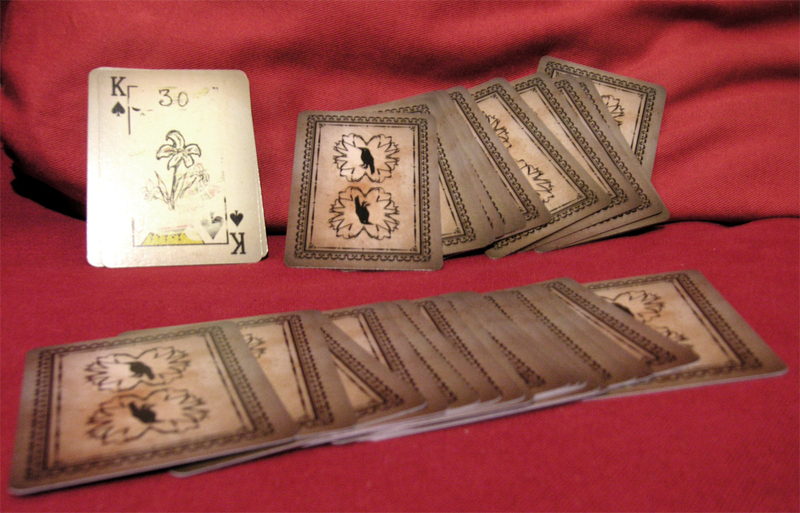 The result was then photographed and slightly adjusted with an image manipulation program to harmonize the whole deck. 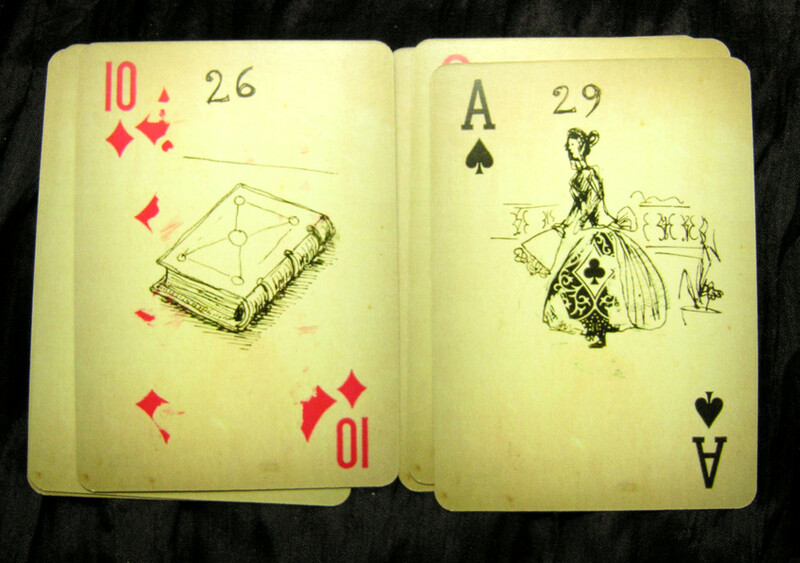 Instead of having an insert in the middle of the card, the standard card association is given by the corner indices.